General Admission price per pupil is £4. One adult FREE per ten pupils. Research our collections whilst using one of our activity resources specially developed to engage students in real life applications of the learning Curriculum. KS3: Science, Engineering and D & T.
A guided tour visit that will develop your pupils’ knowledge of engineering through case studies of objects within the Museum collection. Cost: £1 per pupil (in addition to General Admission price, see top of page). Debate how sports women are portrayed in the media and write your own ‘Zine’ based on your views of the subject. See inside the World's most famous aircraft. 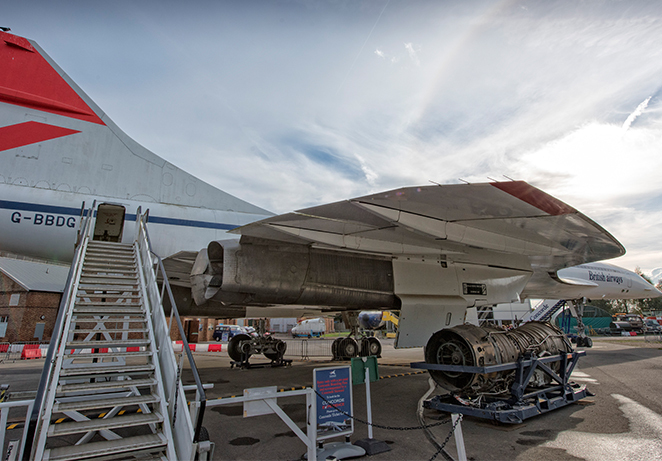 Re-live the excitement of the supersonic age and learn about the challenges of flying at Mach 2.